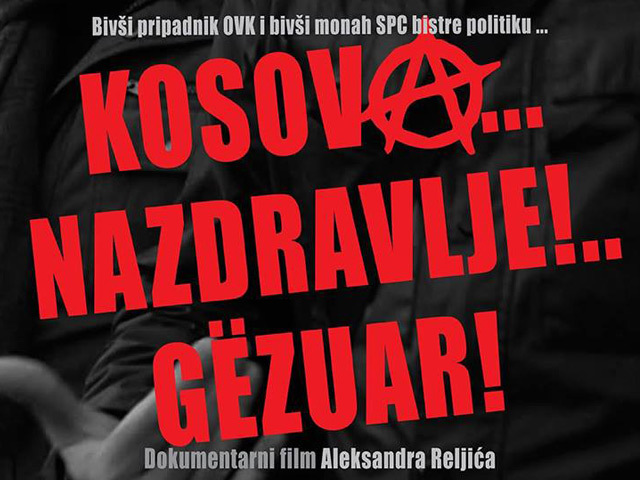 The documentary film ‘Kosovo… Nazdravlje! Gëzuar!’, produced by the Association of Independent Journalists of Vojvodina and BIRN Kosovo, won the audience award at the Serbian Contemporary Short and Documentary Film Festival on June 10 in Washington DC. The documentary, directed by Aleksandar Reljic, looks at the possibility of coexistence between Albanians and Serbs in Kosovo. In 2017, a Serbian far-right group called Zavetnici attempted to stop a screening of the film in Novi Sad, but the coordinators and the police prevented them. The documentary originated from project ‘Real People – Real Solutions’, which addresses relations between Kosovo and Serbia from the perspectives of history, everyday life, and the future. The project is a cooperation between the Association of Independent Journalists of Vojvodina, BIRN Kosovo and ZFD Forum Belgrade, with the support of the EU delegation in Serbia. Four other movies have been shot as part of the same project. The Serbian Contemporary Short and Documentary Film Festival is staged by the Orfelin Circle (Krug Orfelin) organisation.